The era from the Berlin Airlift of the late 1940s to 1989 when the people of East Germany started to break down ‘The Wall’ is known as the ‘Cold War’. During this time the world suffered some of its tensest moments as the USA and its Allies faced off the Soviet Union and the Warsaw Pact amid the threat of nuclear war. As well as intercontinental ballistic missiles and high-tech warfare the ‘Cold War’ brought about some of the most advanced and much-loved aircraft since World War Two. 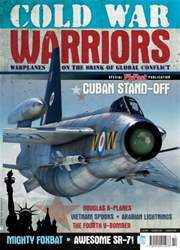 Types that spring to mind include the Avro Vulcan, the Boeing B-47 Stratojet, English Electric Lightning, the MiG-25 Foxbat and the awesome Lockheed SR-71 Blackbird. 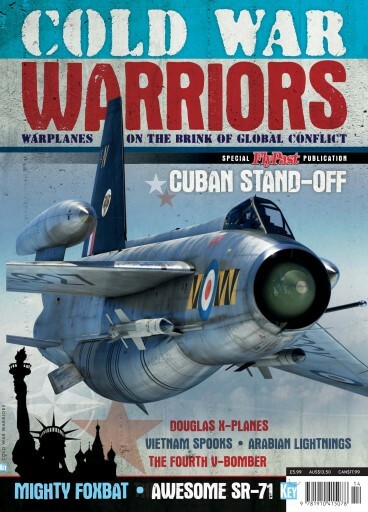 All of these and many more are featured in this 100-page special publication from the team behind FlyPast magazine.